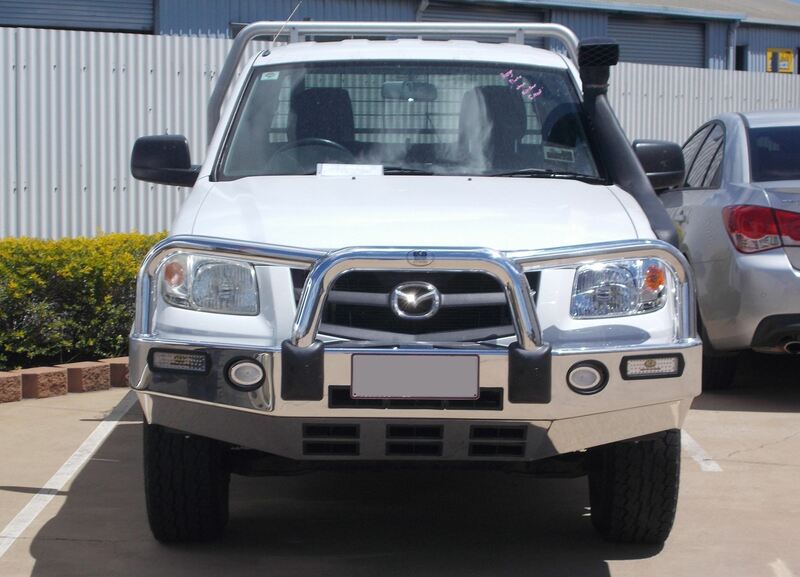 The Polished alloy bullbar to suit the Mazda BT50 looks great. All ECB bullbars are ADR compliant, airbag compatible and made in Australia. 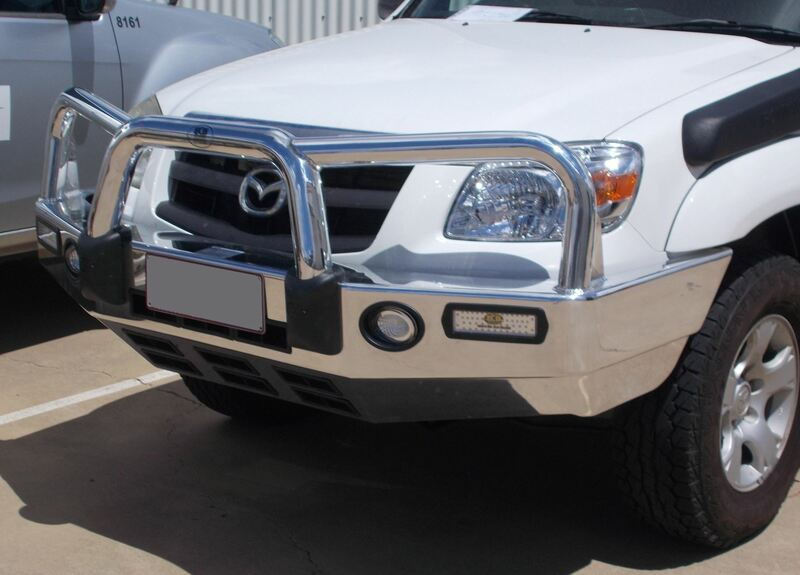 This bullbar comes with aerial and spotlight mounting tabs. 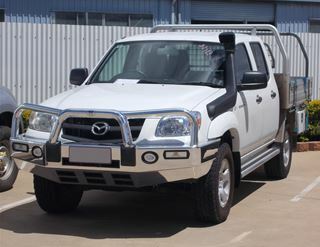 Also available in powdercoated variations.